And become the number 1 team! 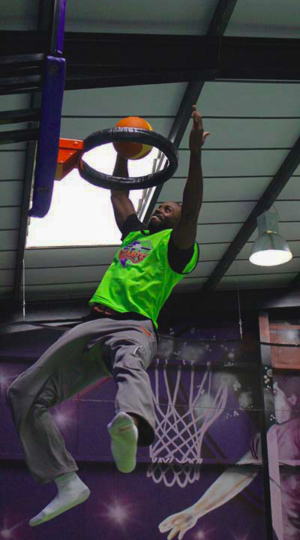 If you’re looking for a new and exciting place to entertain your guests, to have a staff party, or you just want to combine energy and teamwork to let off some steam, then Jump Giants is the place to come! 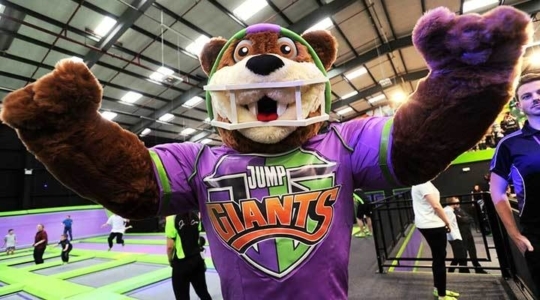 Jump Giants Indoor Trampoline Parks are unsurpassed in the UK and Europe, with thousands of square feet of trampolines, Foam Zones, Dodgeball court, Slam Dunk Basketball hoops and Battle Beams amongst our awesome offering. We offer exclusive hire packages seven days a week with off peak pricing Monday - Thursday. Optional Extra – Resident DJ with laser show, disco lights and smoke machines. Included in these exclusive packages are the following – Organised Dodgeball Games, Slam Dunk Competitions, Foam Zone Flip Competitions, Spot Prizes and lots more. If you are interested in discussing rates and bookings, then please email us on info@jumpgiants.com, and we'll be happy to help. IT'S GIANT FUN FOR ALL THE TEAM!